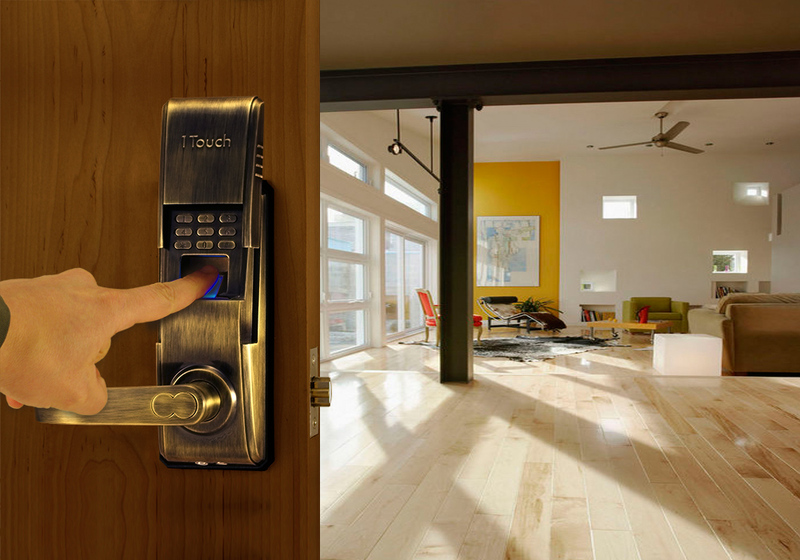 The future of home security has a brilliant new modern look thanks to the inspired combination of design flair and state-of-the-art technology featured in the 1Touch IQ2 fingerprint lock. 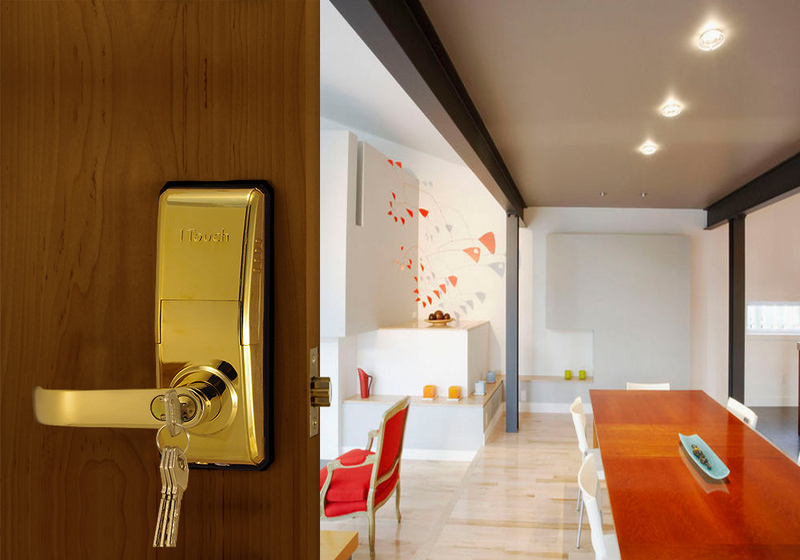 Here is a lock with a sleek and simplistic design providing easy access to your modern space. The 1Touch IQ2 single latch lock is a modern lock that provides access with either a fingerprint, an eight digit pin code, or a key, if preferred. The 1Touch IQ2 is offered in two model types. The Standard model holds 36 users with audit trail capabilities, allowing the owner to know exactly when someone enters the door. Holding up to 75 users, the High Capacity model provides high use technology instead of the audit trail capabilities. The all metal housing is offered in 3 traditional finishes; Brushed Nickel, Antique Brass, and Polished Brass. This progressive modern lock design offers enhanced durability and multiple color options to fit any décor. Unlike most traditional locks the 1Touch IQ2 can be special ordered in any custom finish, adding uniqueness to an already sophisticated flair. 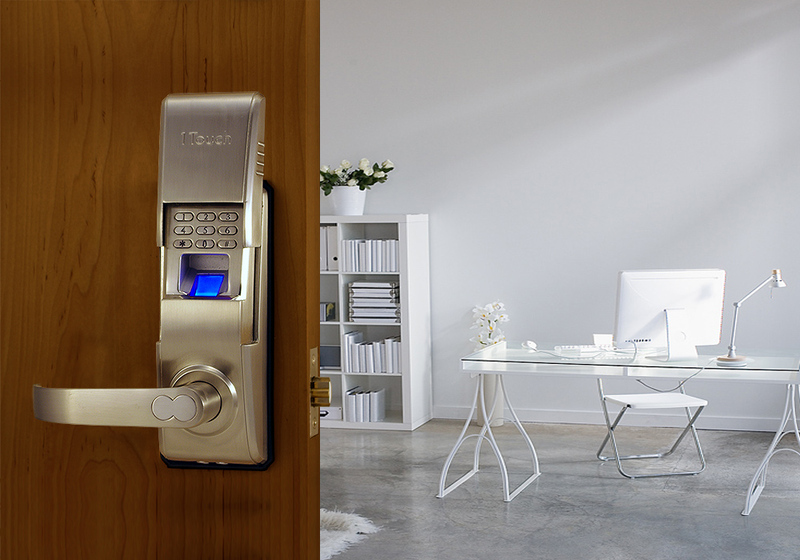 No longer can traditional locks provide you with the needed style, ease, and security that biometric locks of today can offer. ALL 1TouchIQ2 & BioBolt X2 Fingerprint Locks In-Stock & Ready To Ship! New 2011 Polymath LC200 &#039;s are now in Stock!